The decision to allow Clare Curran to retain any of her Ministerial portfolios after being dumped from Cabinet is a sign of weakness in the Government, according to National’s Government Digital Services spokesperson Brett Hudson. Such claims follow news that Curran - responsible for all things digital within the Government - was removed from key portfolios after revelations of a second undeclared meeting. Prime Minister Jacinda Ardern announced the move at a press conference outside her Auckland electorate office on Friday 24 August. As reported by Reseller News, Curran lost her Government Digital Services ministry and responsibility for Open Government after an undeclared meeting in February with tech entrepreneur and "astronaut in waiting" Derek Handley. “It’s almost comical that Ms Curran, who until today held the Associate State Services (Open Government) portfolio has failed not once but twice to answer Written Parliamentary Questions accurately,” said Hudson. The meeting was reportedly about the recruitment of a government chief technology officer, a position which is still vacant after a prolonged and somewhat disjointed recruitment. Megan Woods will take on Government Digital Services and Chris Hipkins Open Government. Curran did not record the meeting or mention it in a written answer for a question from the opposition, but will remain Minister for Broadcasting and Associate Minister for ACC. “It’s not good enough that it took Ms Curran five and a half months to correct her answer to a written question and to finally acknowledge she met with Derek Handley, who had expressed interest in the CTO role created by the Minister,” Hudson added. 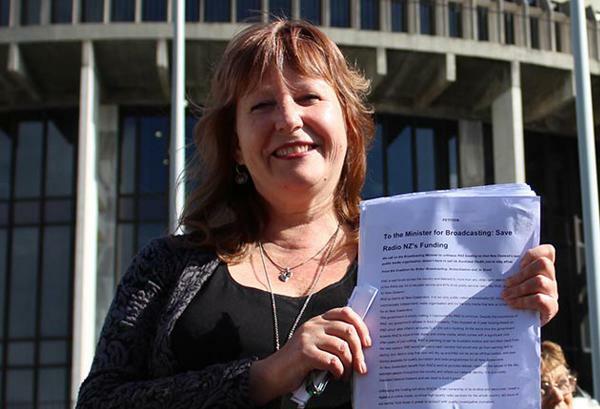 Earlier this year, Curran caused ructions within government and Radio New Zealand after a similarly undeclared meeting with broadcaster Carol Hirschfeld. “Ms Curran’s first indiscretion, the much publicised breakfast meeting with Carol Hirschfeld in December suggested Ms Curran was out of her depth, but this latest failure removes any doubt,” Hudson said.